Samurai Film Series at SIFF [Seattle] | What can I do with a B.A. in Japanese Studies? UPDATE: now with dates and times! Love classic samurai films? The Seattle International Film Festival (SIFF)’s Samurai Film Series is planned for September and October 2013 and includes seven films. Seven Samurai (『七人の侍』) (1954). Directed by Akira Kurosawa. In Akira Kurosawa’s Seven Samurai (Shichinin no samurai), sixteenth-century villagers hire the eponymous warriors to protect them from invading bandits. This gripping three-hour ride is one of the most beloved movie epics of all time. 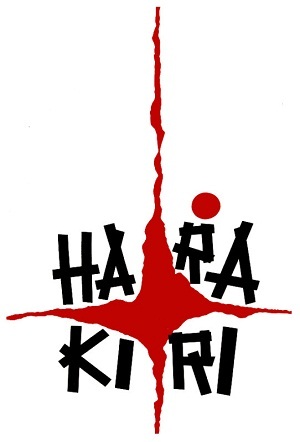 Harakiri (『切腹』) (1962). Directed by Masaki Kobayashi. Kill! (『斬る』) (1968). Directed by Kihachi Okamota. Yojimbo (『用心棒』) (1962). Directed by Akira Kurosawa. A wandering ronin (Mifune), realizes a skilled Yojimbo (bodyguard) could rake in the ryo in this town. And after checking out the sake merchant’s thugs squaring off against the silk merchant’s goon squad, twice as much, if he hires out to both sides. The Sword of Doom (『大菩薩峠』) (1966). Directed by Kihachi Okamoto. Tatsuya Nakadai and Toshiro Mifune star in the story of a wandering samurai who exists in a maelstrom of violence. A gifted swordsman—plying his trade during the turbulent final days of Shogunate rule—Ryunosuke (Nakadai) kills without remorse, without mercy. It is a way of life that ultimately leads to madness. Samurai Rebellion (『上意討ち 拝領妻始末』) (1967). Directed by Masaki Kobayashi. The Hidden Fortress (『隠し砦の三悪人』) (1959). Directed by Akira Kurosawa. Two constantly bickering farmers on the run from clan wars are dragooned by General Makabe Rokurōta into aiding his rescue of fugitive princess Yuki Akizuki and her family’s hidden gold. Acknowledged as the source for Star Wars. This entry was posted in announcements, culture, events and tagged 1960's, Akira Kurosawa, classic film, film festival, Kihachi Okamoto, Masaki Kobayashi, samurai films, Seattle, Washington. Bookmark the permalink.